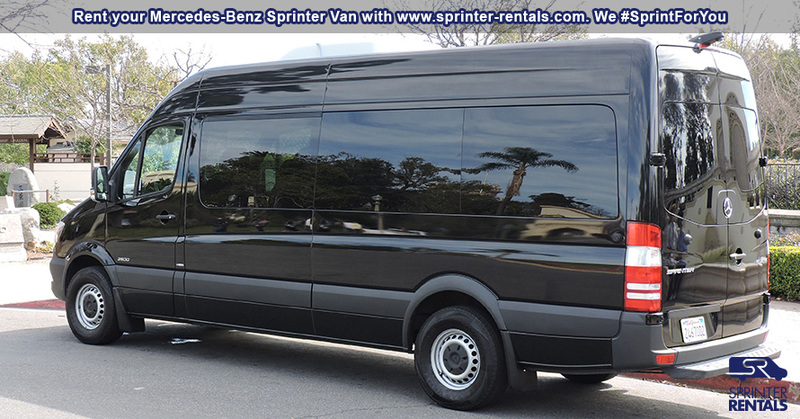 Our premium Sprinter Van, seating for 12 while traveling in style! Driving can be sooo much fun. 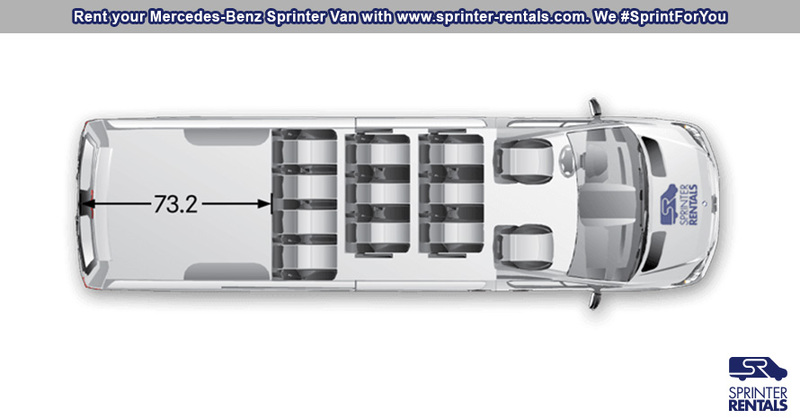 Don’t just get there – sprint there in our latest Mercedes Sprinter Van models. 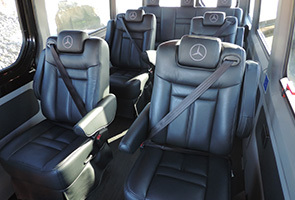 Roll up in style in a silver Mercedes Benz Van while all 12 passengers ride and enjoy the comfort. 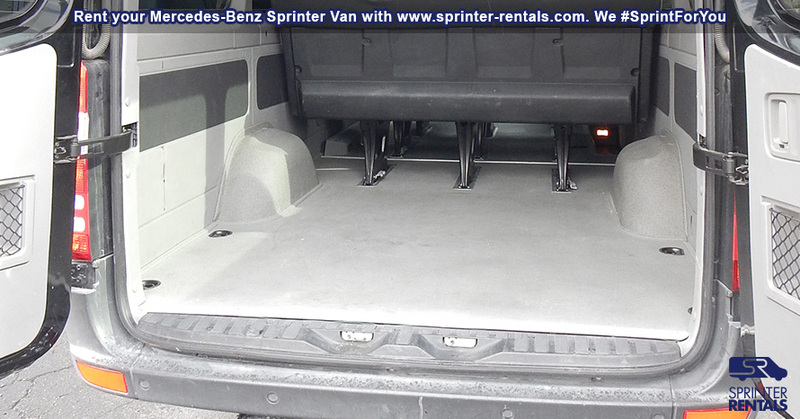 Rent a Sprinter Van if you need a passenger van with 2 front seats and 10 rear bench seats with headrests. 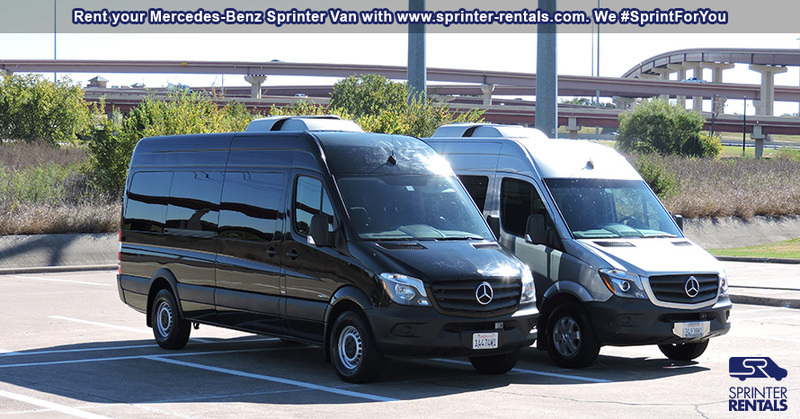 If you rent our MB Sprinter vans in southern California – Los Angeles and San Diego rental hubs, Phoenix – Arizona or Las Vegas – Nevada, the ice cold A/C eases you through the long desert drives of the southwest USA. 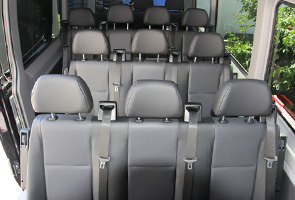 The large cargo space behind the last seats, full stand up interior headroom is a big plus and makes traveling with luggage very easy and comfortable. 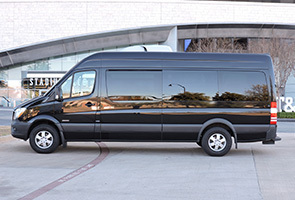 This is the most luxurious and largest van on the passenger van market today. 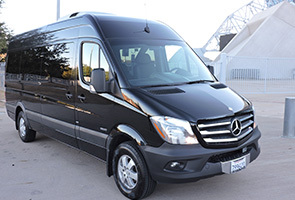 These exciting multi-seat passenger van rentals are perfect for all types of traveling organizations including sports teams, Boy Scout troops and family get together, so don’t waste another minute trying to pile into the cramped SUV! 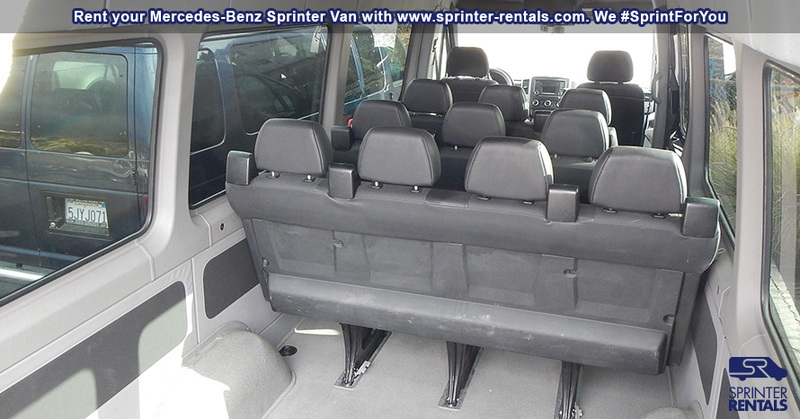 Reserve your very own Mercedes Benz Sprinter 12 seater van rental today! Radio, SD-Card Reader & Aux input. 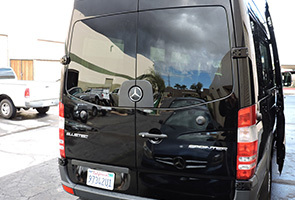 When it comes to getting there, the super clean and fuel efficient Mercedes BlueTEC Diesel engine will surprise you with its quiet power, torque and its MPG. 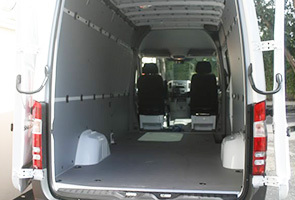 The 6 cylinder turbo ­diesel engine with a 3 liter/185 Horsepower features Diesel Exhaust Fluid (DEF) emission treatment for near breathable exhaust fumes. 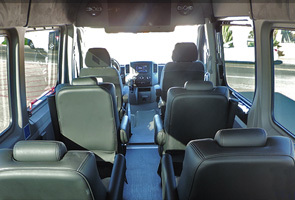 based upon 3+ day/rental $225-$300+** 125 FREE miles incl. 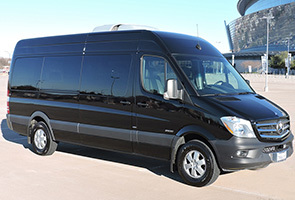 Average Weekly Rate*: $1645-$2000+* 800 FREE miles incl. *Rates are dependent upon availability, rental location, usage, optional features, and season***, and are subject to change without notice. Transfer fees may apply. 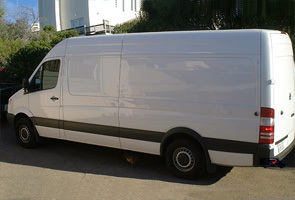 Rates are based on a 24-hour "rental day" starting at the time of rental. **Rentals 3 days or less may be at a higher daily rate and subject to limited availability. Occasionally shorter rentals cannot be confirmed more than 10 days in advance. However, we will most certainly try to accommodate your requests, so please give us a call. 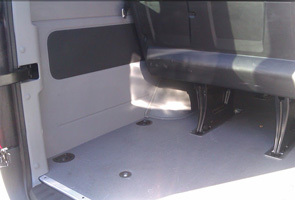 Need less seats and more cargo room?